Koforidua, Oct. 9, GNA – The Eastern Regional Division of the Commission for Human Rights and Administrative Justice (CHRAJ) recorded 359 cases, out of which 351 were human right abuses for the first half of this year. The Commission recorded eight cases on administrative injustice, which were all against government institutions, whiles no corruption related case was recorded. 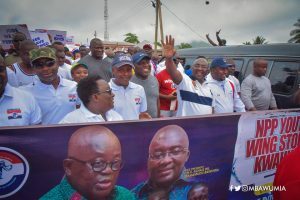 This was disclosed by the Eastern Regional Director of CHRAJ, Mr Stephen Okpoti Mensah in an interview with the Ghana News Agency (GNA). He said out of the 359 cases recorded this year, the Commission was able to settle and closed 290 and in addition, settled 336 human rights abuse and 10 administrative injustice cases recorded from previous years. Mr Okpoti-Mensah said in gender and relations, 140 cases were reported by males, whiles 219 were made by females, however, 289 of the cases were made against male respondents, whiles 62 of the cases were made against female respondents. He said the cases with regards to age distribution showed that only three cases were reported by people below 18 years, whiles 111 cases were reported by persons between 18 to 30 years, with 107 cases reported by persons between 31 to 40 years, 41 to 50 years personalities reported 58 cases, 51 to 60 years persons reported 40 cases and cases received from over 60 years olds were 40. Mr Okpoti-Mensah said human rights abuse cases has for the past five years topped the Commission’s chart and said it was so because it covered very broad areas, unlike corruption and administrative justice cases. He said inadequate logistics were some of the major challenges affecting the Commission’s activities and indicated that it contributed to the delays in conducting investigation as well as undertaking public education, which was one of the key mandates of the Commission.